Eastside Lumber & Decking offers a variety of composite deck brands. 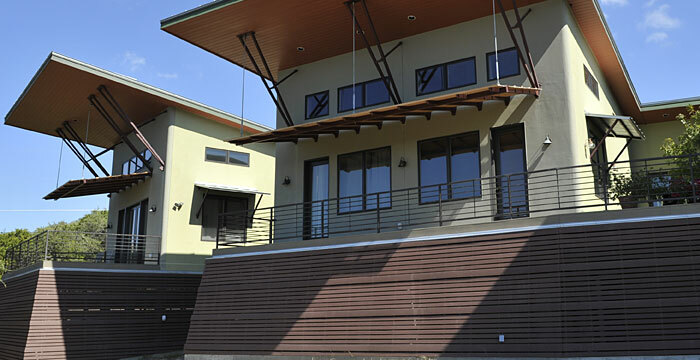 Composite decking — recycled from plastic shopping bags, reclaimed wood and sawdust — is quickly becoming the ultimate Green product for use in deck building and other home construction needs. In fact, its growth in popularity has stimulated the production of various finishes, including different wood grain patterns and simulated, yet highly attractive wood colors. The Green factor varies from one manufacturer to another, but many are using less forest and petroleum products, which in turn contributes to a healthier environment. Among the many advantages of composite decking is the low level of maintenance required compared to traditional wood decking material; it does not need to be cleaned, stained, and resealed every year. Simply wash with soap and water, or use a power washer. 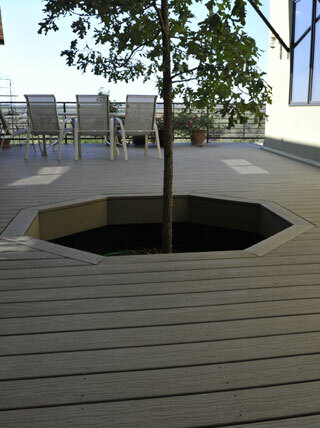 Composite decking is also very user friendly under trees and with pets. Screws or hidden fasteners work great as fastening solutions on composite decking, and because there is no splintering or splitting, it’s great for walking barefooted. There’s no need to worry about rotting, molding, or termites either, which makes composite decking a solid choice for a beautiful, long lasting deck.